Rice pasta and milk is slow cooked with sugar and perfumed with cardamom to make this creamy pink Pal Ada Pradhaman, that is a wonderful and fitting end to any meal, especially a Kerala Sadya (feast). 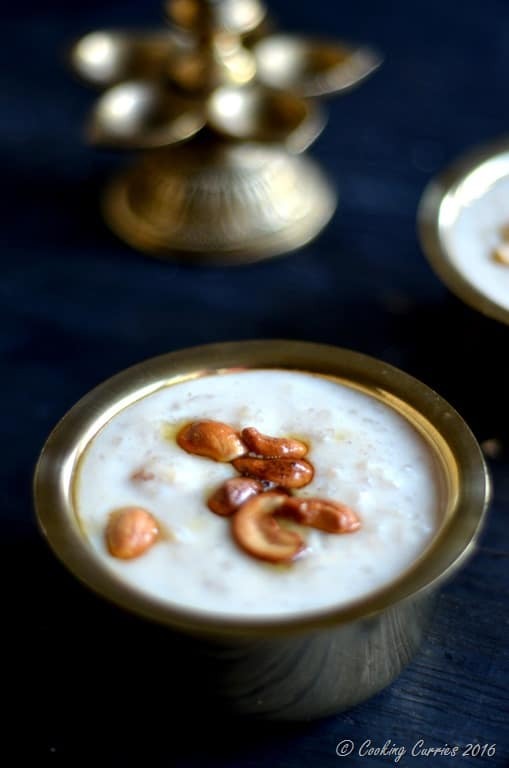 My Amma always, ALWAYS, made pal payasam that way. Anyone and everyone who has tasted it have only loved it. 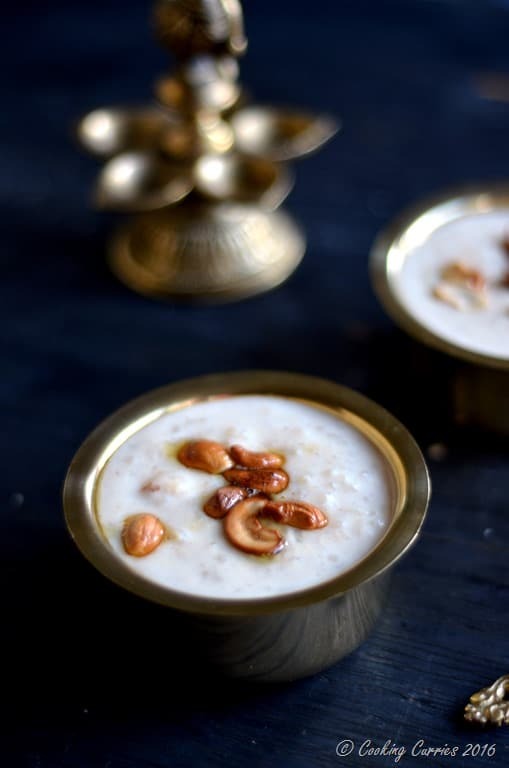 It was so good with so many layers of flavor in it, that my brother and I refused to even taste payasam’s that our neighbors or friends made for special occasions, especially if it did not have that slight pink color to it. Amma’s secret was to pressure cook it and to cook the rice or vermicelli in the milk and not to cook it in water and then add it to the milk. Now whenever I make a sadya ( a feast – you can read all about it here), I am making 10 different things at a time within a span of a few hours and the pressure cooker is a very precious commodity to make dal and rice. The stove top is also precious as I have three or four different things going on at once. That is when I decided to put my slow cooker to task. You just need to start it well ahead and just set it and forget it. 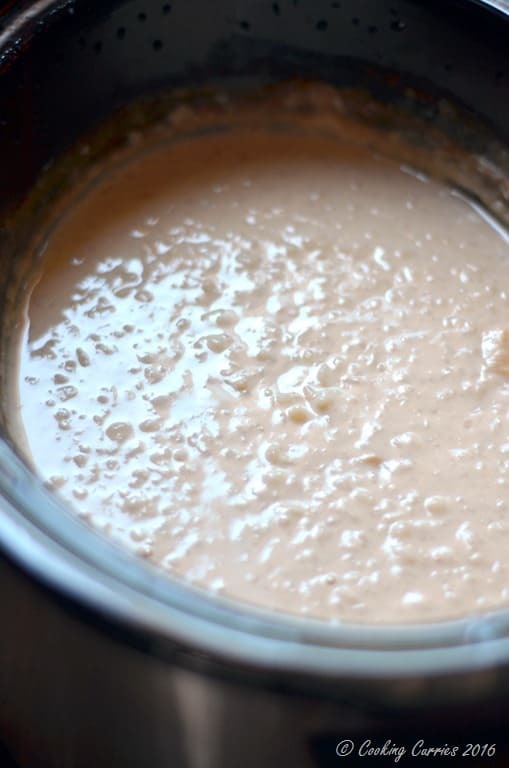 I can then concentrate on making everything else and at the end of it all, the payasam is nice and slow cooked, has that nice pink color from the milk cooking down and I don’t really have to fret about it to make sure the milk doesn’t boil over or gets burnt at the bottom. Set the slow cooker on HIGH. Measure out whole milk and add to it. Add the Ada / Rice Pasta flakes and mix it in, well. Add the sugar to it as well and mix it well. Close and set it on high for 3-4 hours, till the rice flakes cook and the milk reduces and most importantly, you see that nice pale pink color. 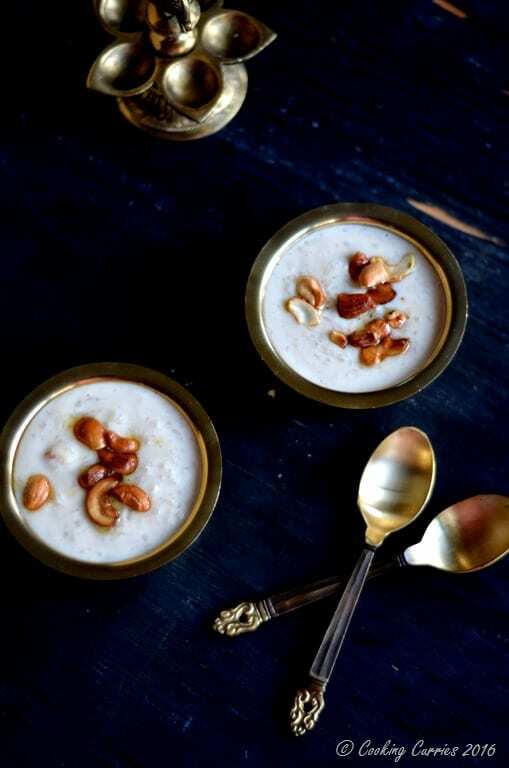 Flavor with ground cardamom and top it with some cashew nuts roasted in ghee and you are all set. 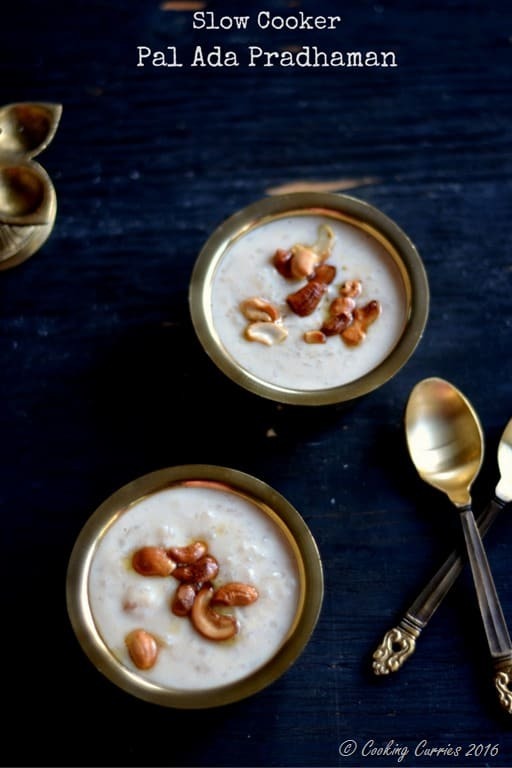 Here are some other payasam recipes that you will love. 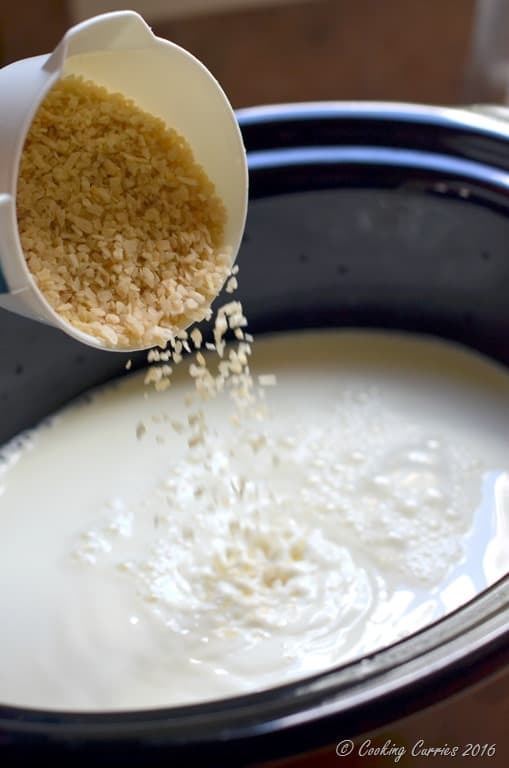 Add the milk to the slow cooker and slowly add in the rice ada and the sugar to it. Mix it in well. 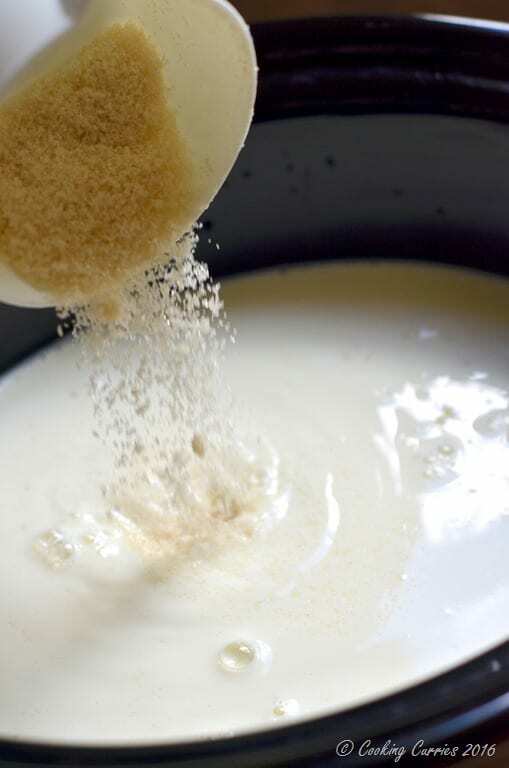 Close it and set it to HIGH for 3-4 hours, stirring it every once in a while, so the milk does not stick too much to the bottom and the sides. Once done, add the ground cardamom and mix well. Heat the ghee in a small pan and add the cashew nuts to it and fry till golden brown. Add to the payasam and serve. Note: If you do not have a slow cooker or do not want to cook in it, you can always cook on stove top. 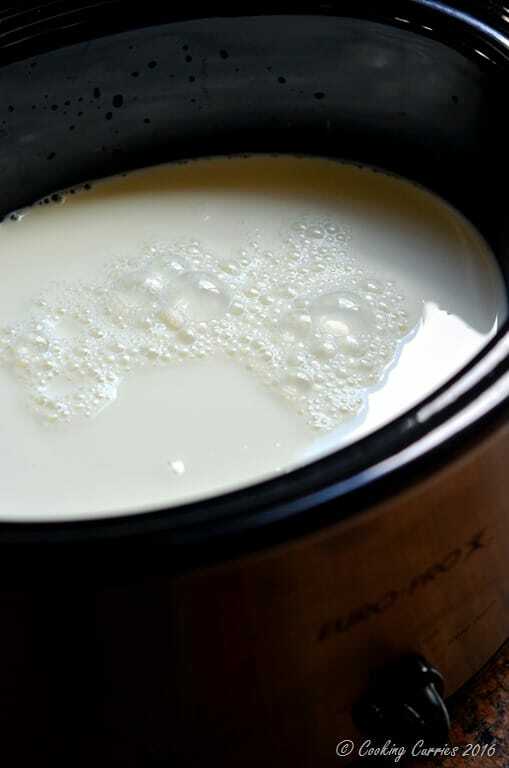 Just make sure that you keep the heat low at all times and keep stirring and checking to make sure the milk does not boil over and does not stick to the bottom and burn. Hamilton Beach Slow Cooker, 7 Qt. If you do not have a slow cooker or do not want to cook in it, you can always cook on stove top. 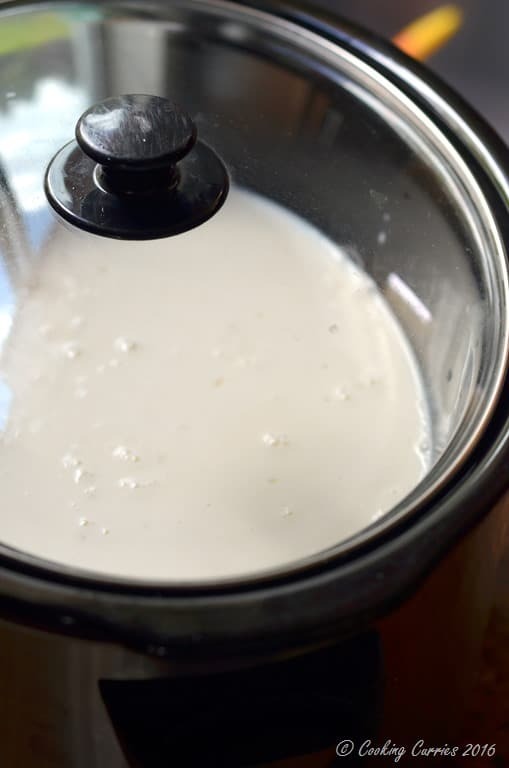 Just make sure that you keep the heat low at all times and keep stirring and checking to make sure the milk does not boil over and does not stick to the bottom and burn. Wow. Beautiful as always. So impressed. This sounds fantastic. I bet that cardamom smells great while this is coming together.